The Canalway Trail is a great recreational resource for biking, walking, jogging and other types of seasonal trail activities in New York State. Major portions of the Canalway Trail follow the legendary Erie Canal route from Buffalo to Albany, linking the cities of Rochester, Syracuse and Utica. 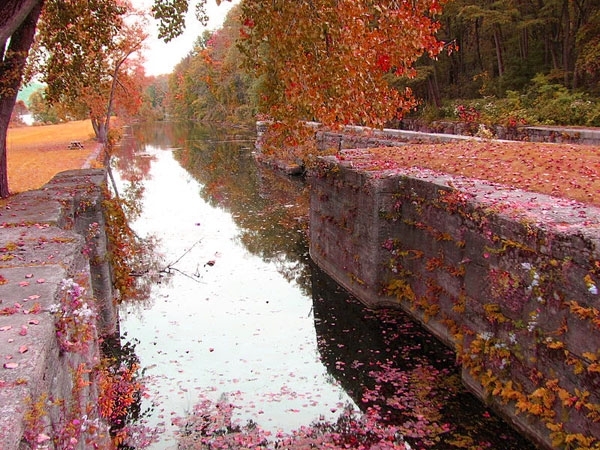 Portions of the Canalway Trail follow the Champlain, Cayuga-Seneca and Oswego canals. Parking and historic information about the Erie Canal and New York State Canal System is located at many points along the Erie Canalway Trail. The Canalway Trail primarily consists of a stone dust surface with some asphalt segments. Equestrian activities are allowed on the Old Erie Canal State Historic Park 36-mile section of the Erie Canalway Trail (between East Syracuse and Rome).